nink pipples? thought ive seen you in chaos renewal usually in Juno. hi there! Does that mean we will use official arts for october instead? 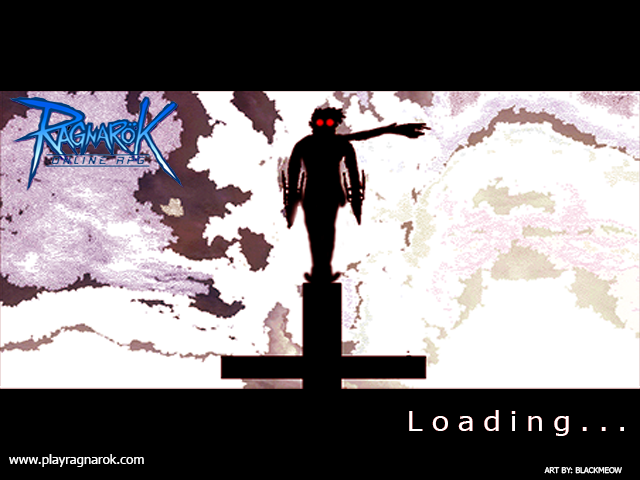 Yes, until the hiatus is lifted we will be using official RO art for the loading screens. We will still select art from here to be featured on our Fanart Fridays on Facebook and Twitter, so check each week to see if yours is selected! You should've told us sooner not wait till the following month goodness gracious it's not hard to post something in the forums aint it? might be a different guy as i dont have the ownership of this nickname on chaos. Topic is being closed for now, please see staff response on General Loading Screen Thread status below. The loading screens will be going on hiatus. During this time, we will be reviewing our submission processes and using some interesting official loading screens from kRO! I will still distribute raffle prizes for September, but that will be put on pause for the time being until loading screens start up again. Thank you all for your participation and all the fun! We may still feature your submitted work on Fanart Fridays on our Facebook and Twitter pages, so be sure to look out for those!